According to its leaked product road map, KTM is due to upgrade the SuperDuke for the next model year (meaning we should start seeing “spy photo” teasers any day now). Designated at the KTM Super Duke R 1290, we can only assume that the new model from Austria will feature a v-twin motor fits in the 1,200cc displacement category, though KTM has been notorious about having its number designations not quite lining up with the bike’s actual displacement. 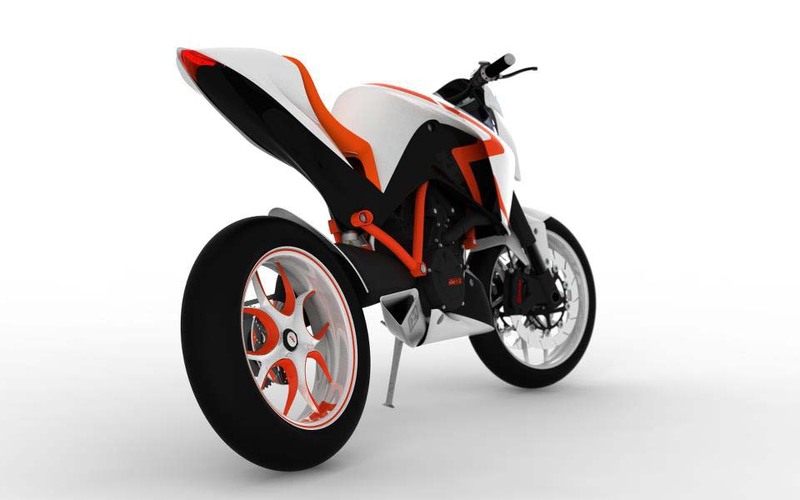 For 2014, the Super Duke R 1290 will be the basis of another model, the KTM Adventure 1290, which will update the current KTM Adventure 990, and bring KTM more in-line with the offerings from BMW, Ducati, Yamaha, etc. 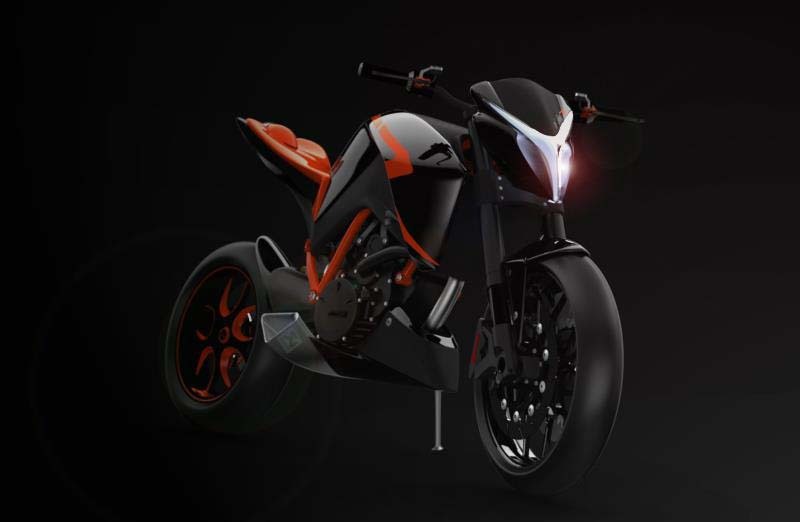 While we wait for those exciting new models from Team Orange, Italian industrial designer Micro Sapio has penned this concept of a KTM SuperDuke 1200 R. Unfortunately, all we have is the front and back shots, which make fully-appreciating the renders a bit of a challenge. Of course the orange-painted steel trellis frame pops, though we are not a huge fan of the headlight being used here. However, the low-slung exhaust and single-sided swingarm are nice touches. Your thoughts?